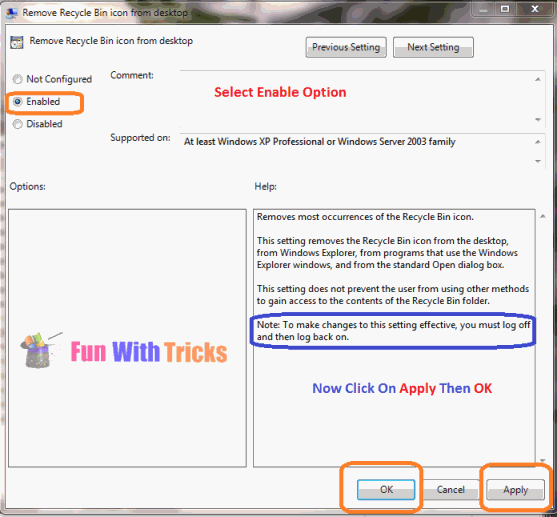 Most of the users never found the recycle bin on the desktop very useful, so you can disable it on Windows 7 or Vista. Here is the brief tutorial on how to hide recycle bin from desktop! 2. 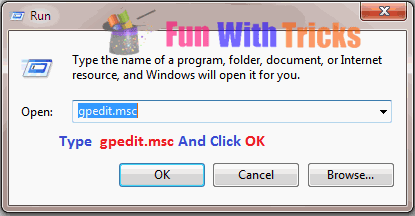 Now In Run Window, Type gpedit.msc And Hit Enter. 3. The Local Group Policy Editor Window Will Open. From This Select User Configuration->Administrative Templates->Desktop. 4. Now From Nearby Window, Double Click On "Remove Recycle Bin Icon From Desktop". 5. Again New Window Will Open. 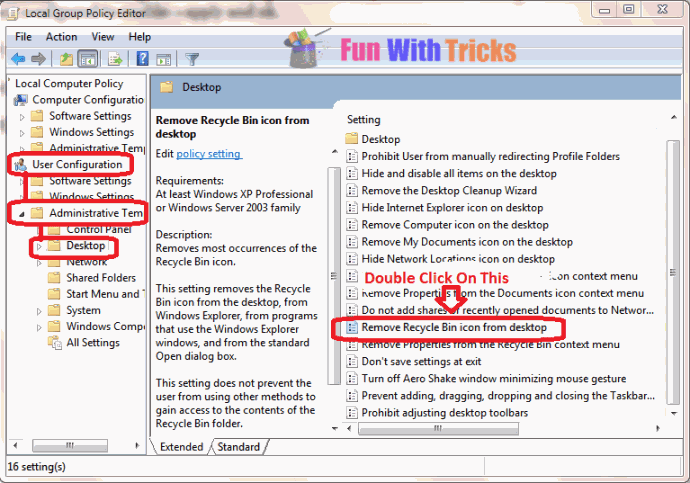 Change Not Configured Option To Enable. Click On Apply Then Select Ok.
6. Log Off And Log On PC To Show An Effect! 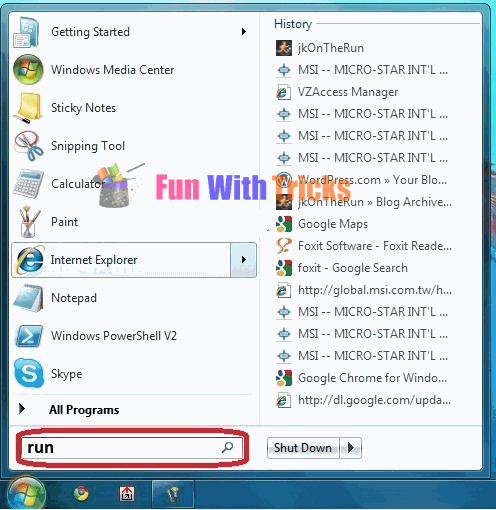 Note: You Can Also Remove My Document Icon , My Computer Icon And Many More Options Are Available In Step 4, Do Same To Hide Them Like This One!